High mobility of Brazilian athletes has increased significantly due to the globalization of soccer. It is very common to observe young athletes moving from their hometowns to a different place as a demand of the profession/career. During this process, youth face the process of acculturation, known as the transition to a different culture as a job demand (to play soccer) and feeling confused about his/her cultural identity. In addition, these young athletes assume responsibilities of adults in a period of development - adolescence and the transition to adulthood - characterized by the identity consolidation. The process of identity of football players is emphasized since the early childhood. The aim of this chapter is to discuss the process of acculturation in young Brazilian soccer athletes elucidating related aspects and the development of identity, concerning its cultural dimension surrounded by information and communication technologies of a digital age. 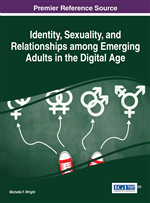 The objective of this chapter is to discuss the acculturation process and identity construction of Brazilian teenage athletes and their transition to adulthood, while considering the cultural dimensions that influence universal aspects of this process. The world’s globalization, in part, is influenced by information and communication technologies. This globalization has provoked changes in adolescence and adulthood. The process which the individual goes through - moving to a new place culturally different from his own - impacts performance, identity, and mental health. The contextual aspects that influence the process of acculturation and identity as well as the discussion of this subject in the area of sports psychology are theoretical and practical challenges for psychologists and other professionals who work with Brazilian soccer athletes. This process can be facilitated by communication and information technologies. The possibility of being in frequent contact with people from the individual's country of birth may make it more difficult to adapt to the transition to living in a new country.